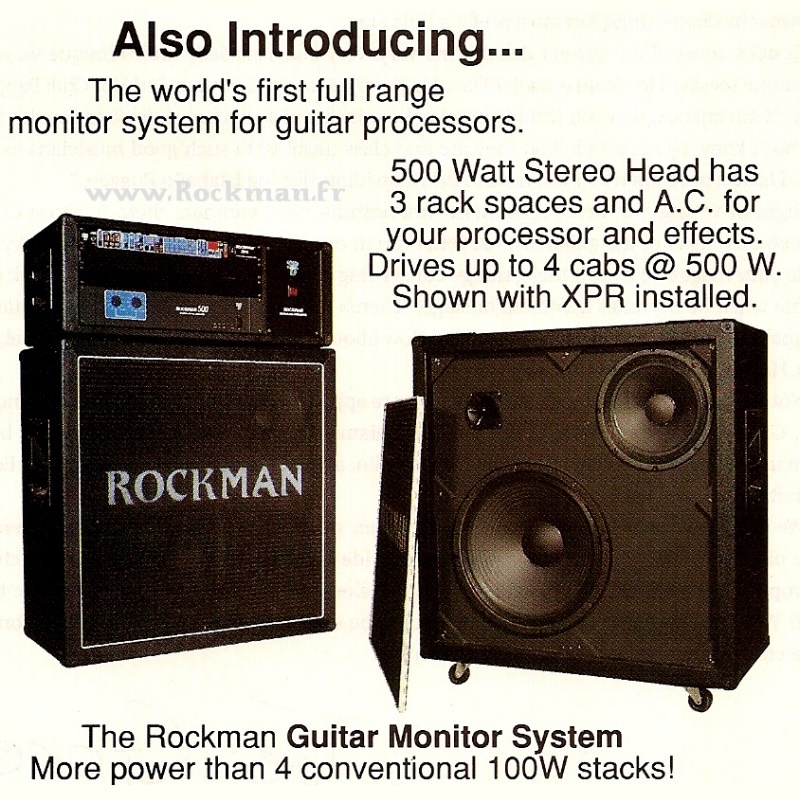 How did a brand like like Rockman, the brand that had created the DI concept, come to selling the biggest guitar amps ever built? The basis principle of the Rockman approach is to play without an amp. Yet, Tom Scholz has created this product line for Boston, and Boston is not a band that only records in a studio: Boston plays live on stage, on very large stages. The stage gear of Boston was designed strictly for the show: these huge amps and cabs are in fact totally useless (they are not miked), but are big enough to give an exiting look to the band during the shows. The 3-way cabs were made specially for Boston, in the same spirit as the cabs of a front PA system: they are totally linear, unlike conventional guitar cabs which colorate the sound a lot. As for the amps, the famous Rockman PA500 is a Carver PM175 2x250W, with a Rockman front plate and a small modification: the input is copied to a pair of jacks, used to send the signal to the main PA mixer. This stage equipment (cabs, amps and stagehead) were made available as commercial products, but were produced in very limited quantity (50 or so, as of Rockman-Central).